1/2' Bamboo International . Dimensions (W X D X H): 12 3/4' X 9 1/4' X 9 1/2' - For Letter-sized Papers. Made From Bamboo Wood, A Natural. 1/2' Bamboo International . Dimensions (W x D x H): 12 3/4' x 9 1/4' x 9 1/2' - For letter-sized papers. Made from bamboo wood, a natural and. About The 1/2' Bamboo International . Dimensions (W x D x H): 12 3/4' x 9 1/4' x 9 1/2' - For letter-sized papers. Made from bamboo wood, a natural and. Made from bamboo wood, a natural and renewable resource. 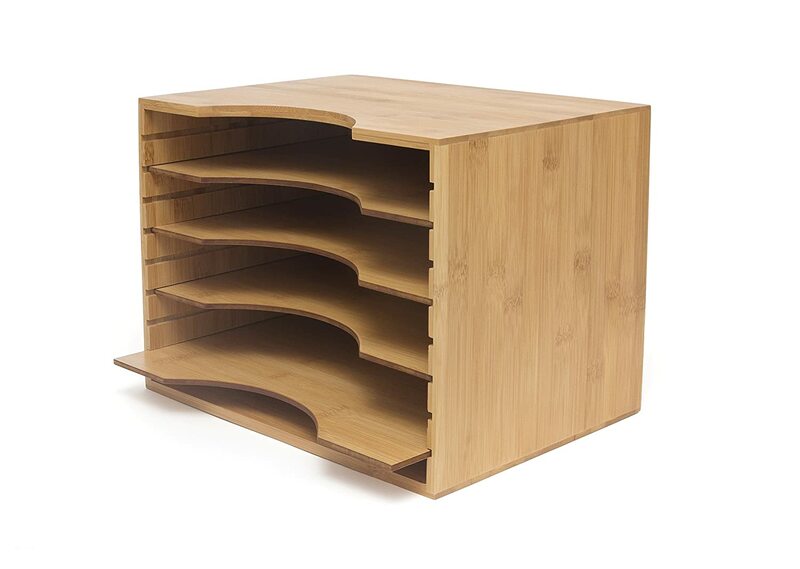 Organize and conveniently store files, also great for office and craft storage. 4 adjustable dividers to accommodate stationary and important files - Holds standard 8 1/2' x 11' letter-sized paper. Includes: 1 file organizer 4 adjustable dividers - NOTE: Office items pictured are not included. More from 1/2' Bamboo International . Dimensions (W X D X H): 12 3/4' X 9 1/4' X 9 1/2' - For Letter-sized Papers. Made From Bamboo Wood, A Natural.